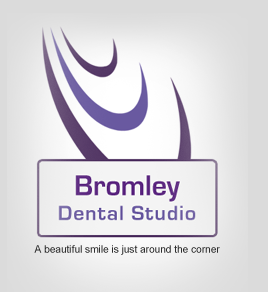 At Bromley Dental Studio we provide a personalized dental care experience that is tailored to your budget, so you can afford that perfect smile you always wanted. NHS Charges (National Health Service Dental Charges) for dental treatment are provided below. Band 1 : £18.50. This charge includes an examination, diagnosis and preventive advice. If necessary, it also includes X-rays, scale and polish and planning for further treatment. Band 2 : £50.50. This charge includes all the necessary treatment covered by the £18.50 charge plus additional treatment such as fillings, root canal treatment or extractions. Band 3 : £219. This charge includes all the necessary treatment that is covered by the £18.50 and £50.50 charges plus more complex procedures such as crowns and dentures. Private Dental Charges We provide a complete range of private dentistry services to suit your exact requirements and budget. Finance and payment options are also provided and you can call us or seek advice from our team on an appropriate option for you. Our private dentistry charges will be updated here soon. Please be aware that payment for dental treatment is required the day you complete your treatment. If your dentist finds during your consultation that you require treatment, you will be given a treatment plan form that details the treatment needed and the different options available. If your treatment requires more than one appointment, you are asked to pay for the treatment started on each appointment. For example, if you need to have a crown, you are asked to pay 50% of the cost of the crown as a deposit on the day of preparation for crown. Please ask our receptionist if this is appropriate for you. For information regarding insurance cover, please contact the clinic on 020 8464 2900 . If you have to cancel an appointment please give the practice 24 hrs notice. The practice reserves the right to refuse further treatment for patients who have failed to attend an appointment or have cancelled the appointment without the appropriate notice.